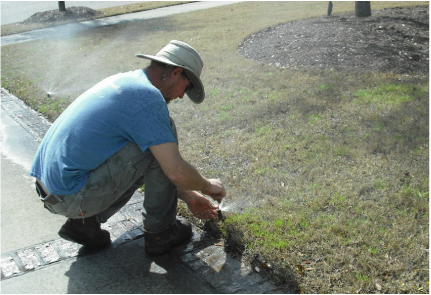 Spring 2015 - YardWorks Irrigation Technician fine tuning a customer's system as part of our Irrigation Program. YardWorks designs, installs and maintains irrigation systems – an essential element to preserving your landscape investment. We use only the best irrigation products to irrigate your lawn, trees, shrubbery beds and even seasonal color planters and window boxes.